In the early 90s, the Dallas Mavericks were a joke, finishing the 1993-94 season with 13 wins and 69 losses. Then came the 1994 draft, where they drafted Jason Kidd #2 overall. The young future Hall of Fame point guard ended up being the missing peace of a promising big three with the dangerous wing scoring duo of Jamal Mashburn and Jim Jackson. In 1994-95, the young trio showed promise, improving the team’s record to 36-46 – a solid upgrade over the previous one. The next season, however, it all fell apart and the Mavericks slid down to a record of 26-56. 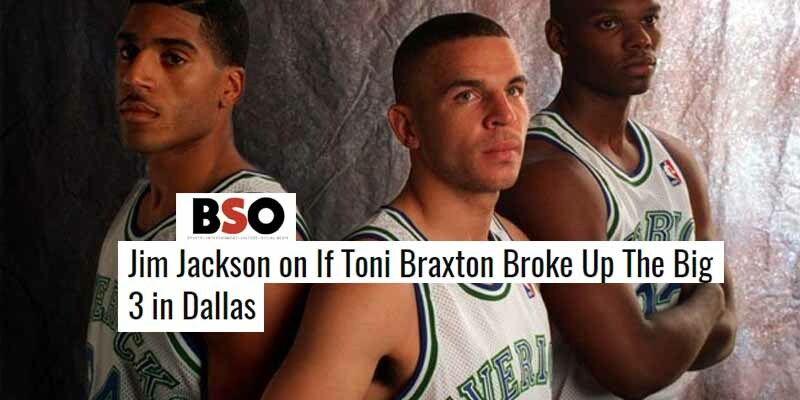 This was largely attributed to an alleged love triangle between Kidd, Jackson and R&B singer Tony Braxton. Allegedly, Braxton went to pick Kidd up at an Atlanta hotel for a date, but apparently he wasn’t man enough for her and she ended up leaving with Jackson instead. This caused tension in the locker room so the trio couldn’t play together anymore and were quickly broken up. This was all a rumor that Jim Jackson himself dispelled on the “The Herd” with Colin Cowherd, citing other issues like egos and lack of leadership for the team’s downfall and breakup.